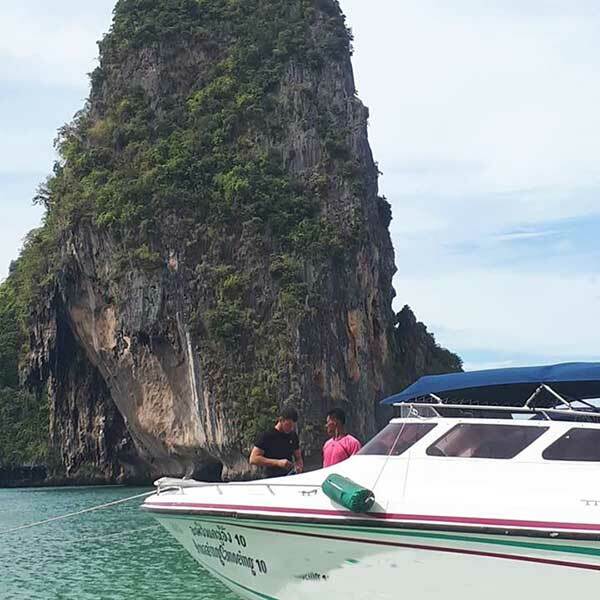 Hong Krabi James Bond Island, is one of our speed boat trips. 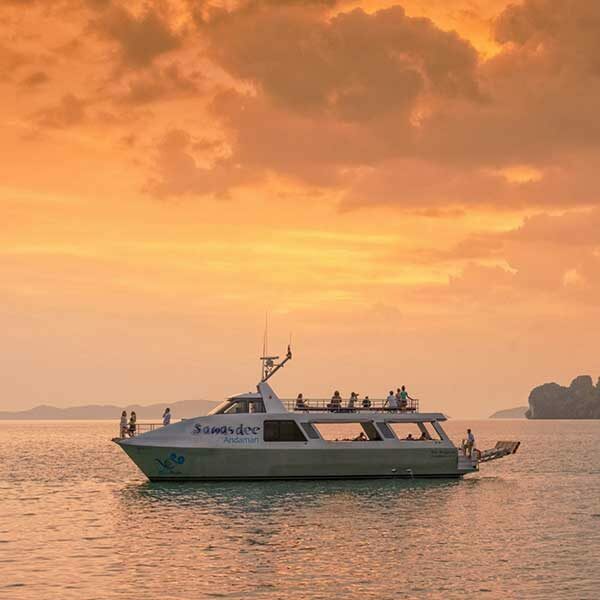 We have quite a few different choices for tours in and around Phang Nga Bay and here is another great one for you to consider. Unlike the others this one only operates 3 days a week so they tend to book out fairly quickly. Much like the other trips you are taken to visit Hong Island where you get to have a swim, and do some snorkeling and for those that are only interested in relaxing on the beach you are more than welcome just to do that if you like. Panyee Island (The Floating Muslim Village) is the next stop where you enjoy a lovely lunch and have a wander around the shops and buy something if you wish. 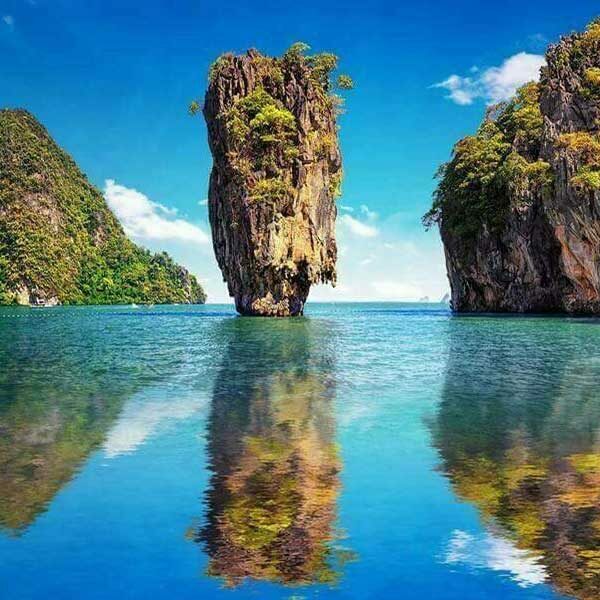 James Bond Island is next and after that some sightseeing on Panak Island followed by the second Hong Island in Phang Nga for some kayaking in the caves. After a wonderful and energy spent day you travel back to Phuket. This is a wonderful trip so ask us about our Hong Krabi James Bond Island tour. 07.00-08.00 Pick up from hotel and transfer to Ao Por Pier by minivan. 09.00-09.15 Arrive at Ao Por Pier, check in and meet with our guide, We also provide coffee, soft drink. 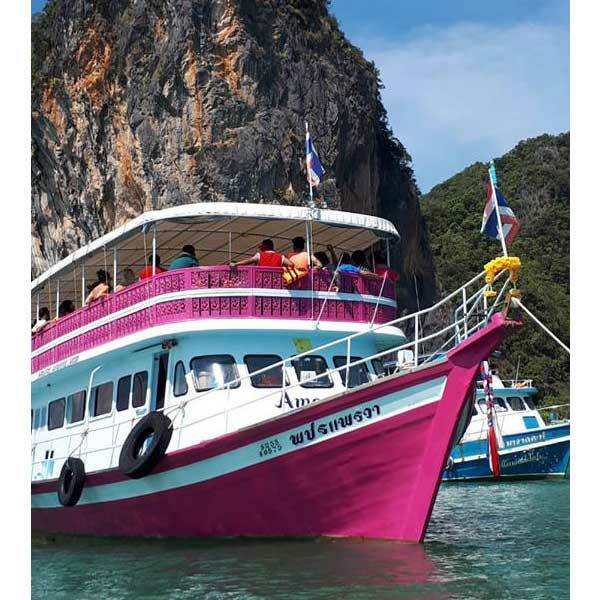 09.30 Depart from Ao Por Pier by speedboat to Hong Island (Krabi). 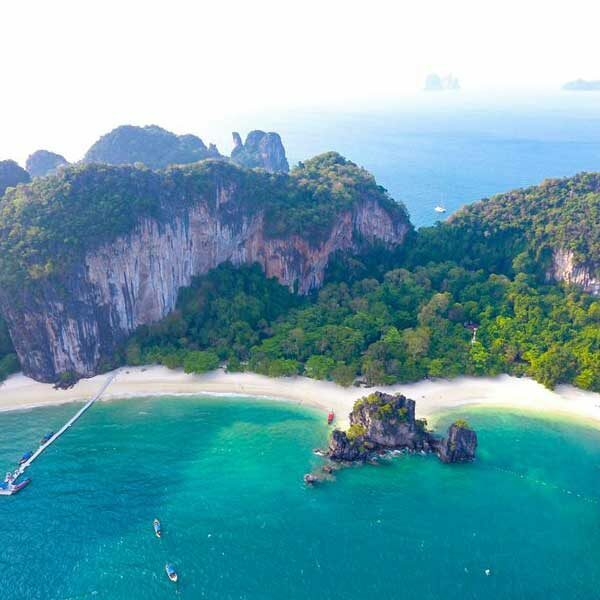 – Arrive at Hong Island (Krabi). enjoy snorkeling, swimming and relaxing with the most beautiful in Krabi province. 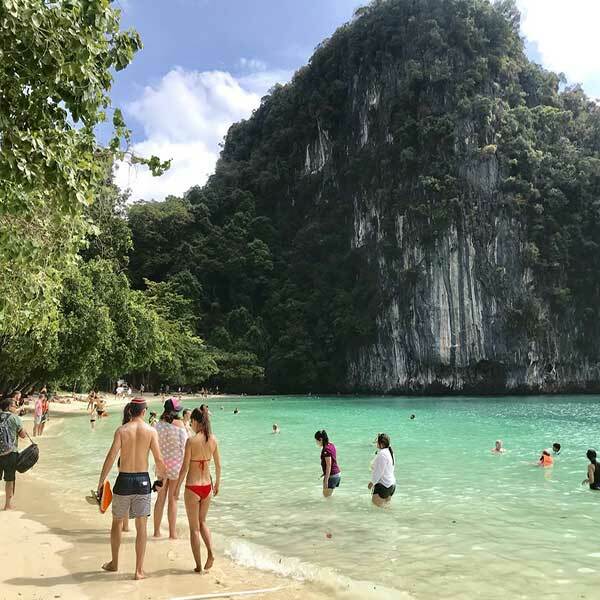 The main island, Koh Hong is uninhabited, except for the birds, white-faced gibbons and giant monitor lizards that can be often spotted on the main white sand beach. – Enjoy a delicious lunch on Panyee Island with time to visit the local village shops. 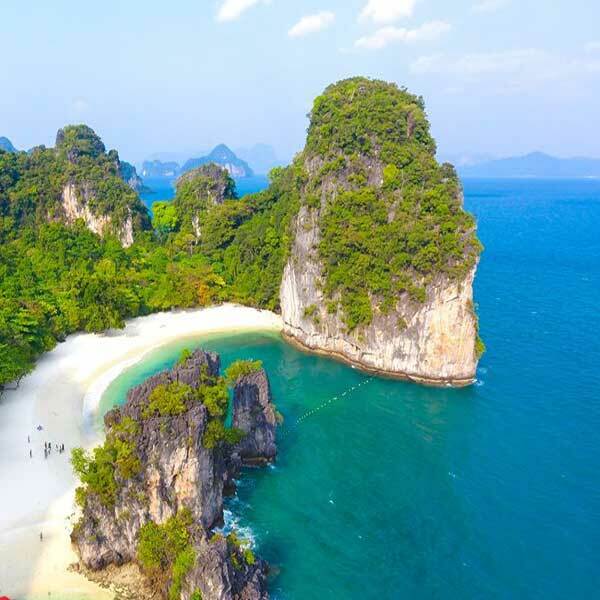 – Visit James Bond Island and admire the spectacular Khao Ping Kan.
– Arrive at Panak Island for sightseeing in the island’s extensive cave system. – Move on to Hong Island (Phang Nga) for canoeing with experienced guides. Return to Ao Por Pier and transfer back to your hotel.